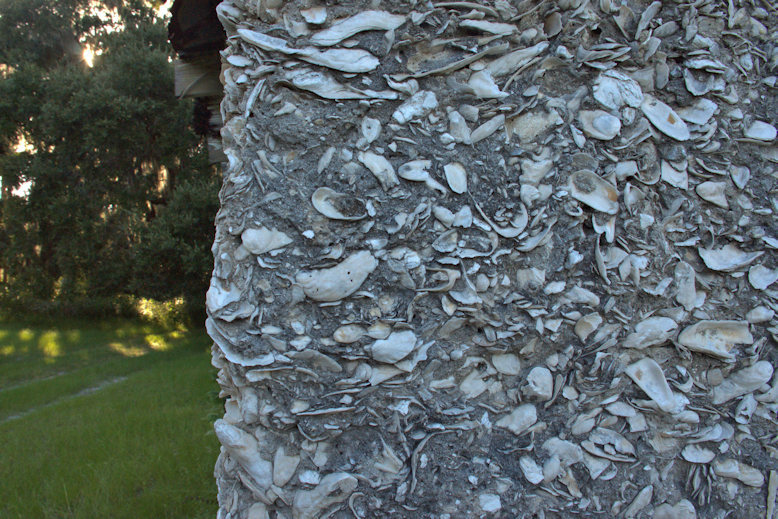 This was located near Pembroke on US 280. 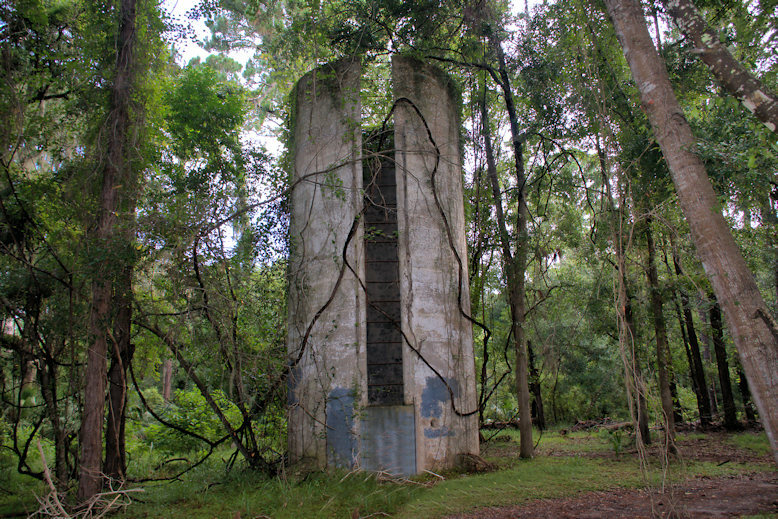 I’m not sure if it’s still standing. 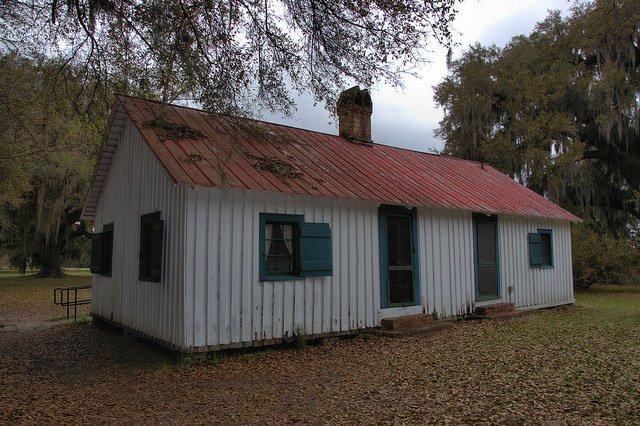 In 1806, Charleston merchant William Brailsford purchased the “Broadface” property on the Altamaha River between Darien and Brunswick and set about creating one of the most prosperous rice plantations in 19th-century Georgia. 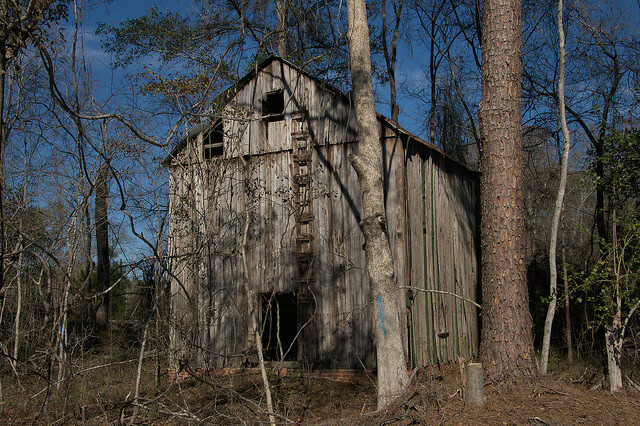 He renamed it Broadfield. 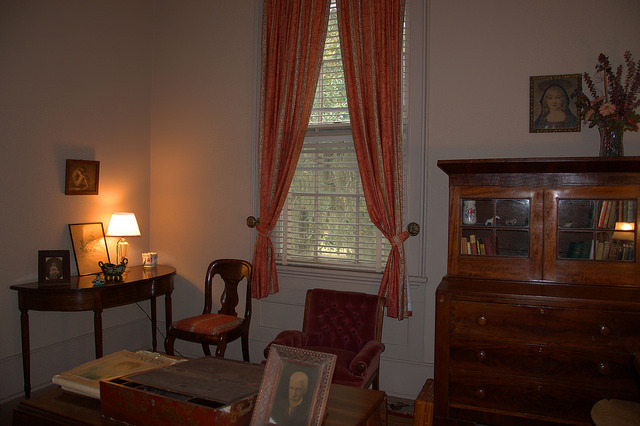 Upon his death, it passed to his son-in-law Dr. James M. Troup, brother of Governor George Troup. 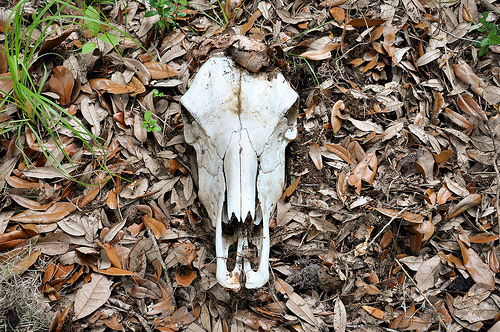 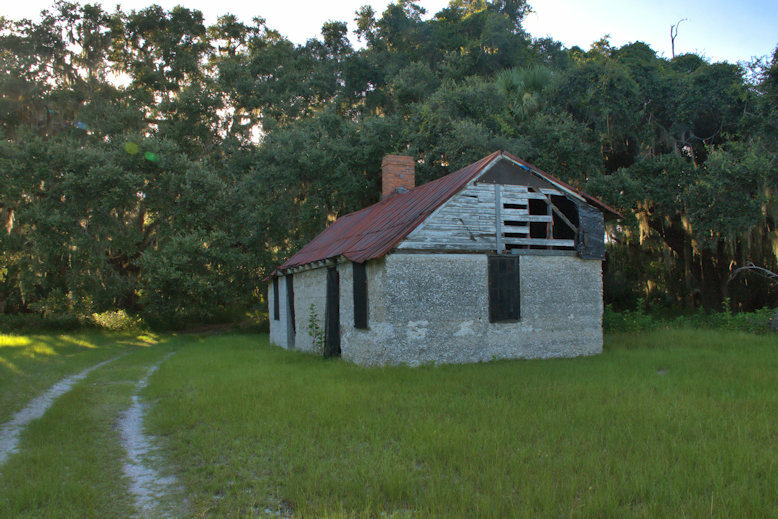 When Dr. Troup died in 1849 Broadfield included 7300 acres and a community of 357 slaves. 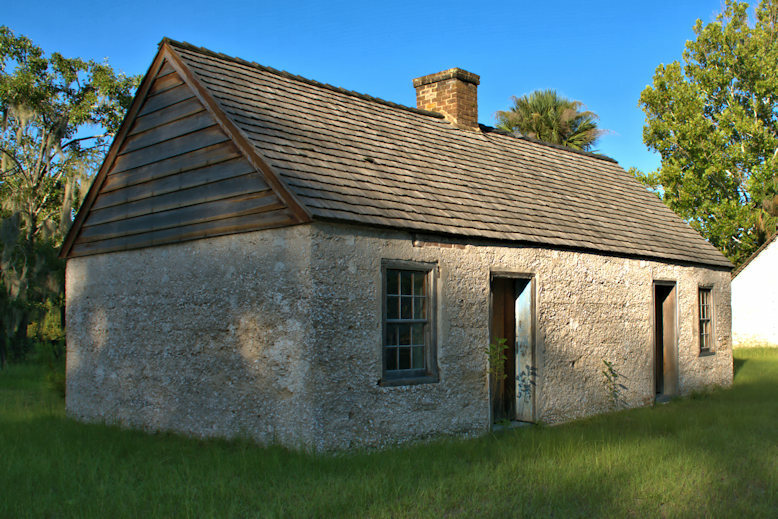 Around 1851, Troup’s daughter, Ophelia, and her husband George Dent built the plantation house still standing today and christened it Hofwyl House, after a school Dent attended in Switzerland. 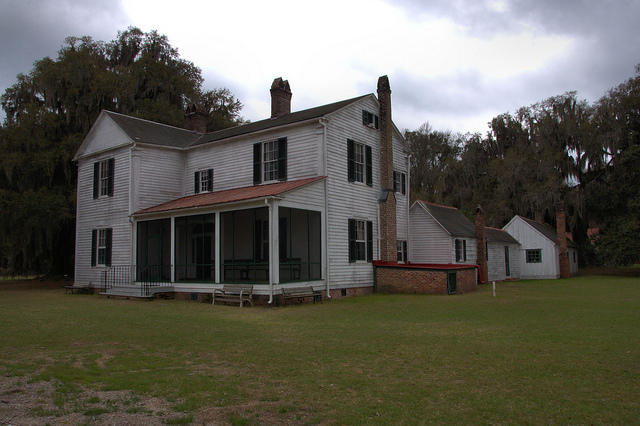 After the Civil War, mounting taxes led to the selling of most of the original lands and by the 1880s when George & Ophelia’s son James took over management of the plantation, Broadfield’s dominance was over. 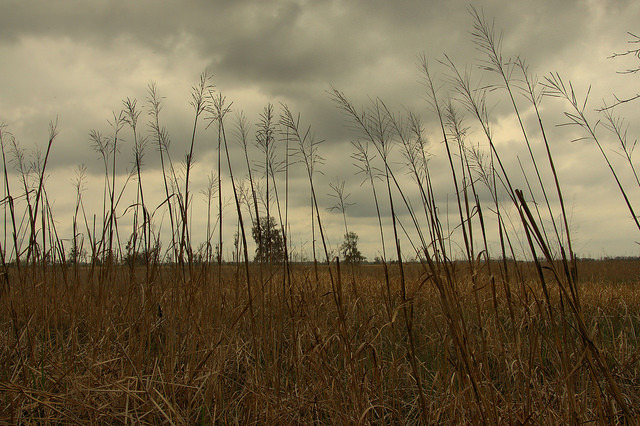 Rice was cultivated until 1913, but without slaves to make up a cheap labor force, it was hardly a profitable venture. 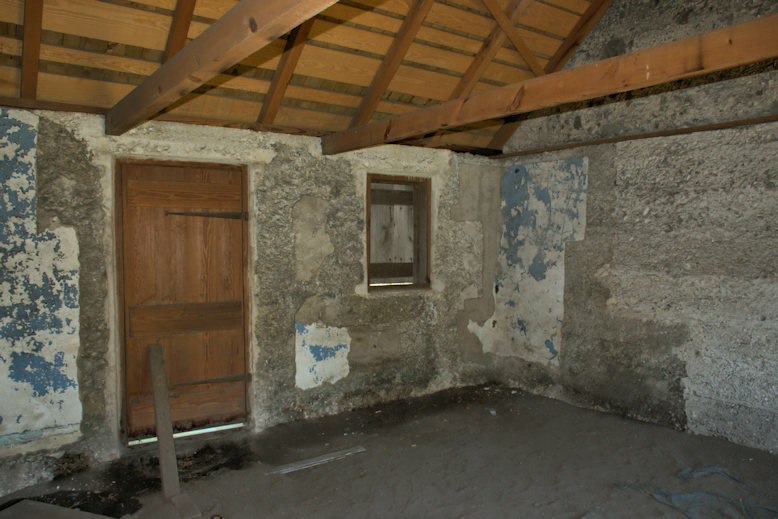 When James died in 1913, his son Gratz established a dairy on the site, which was operated until 1942 by his sisters Miriam and Ophelia Dent. 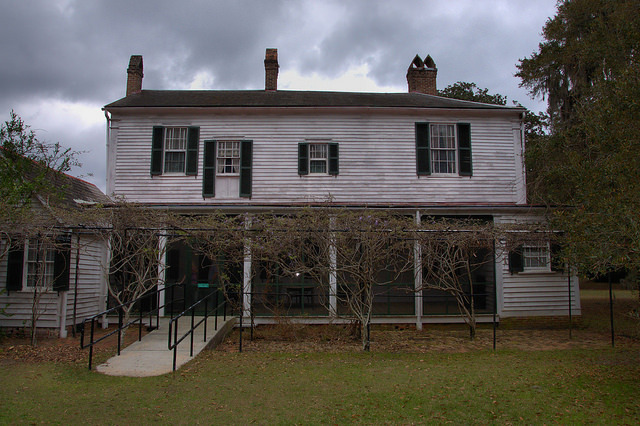 When Ophelia died in 1973, she left the house and grounds to the state of Georgia, who operate it today as a state historic site. 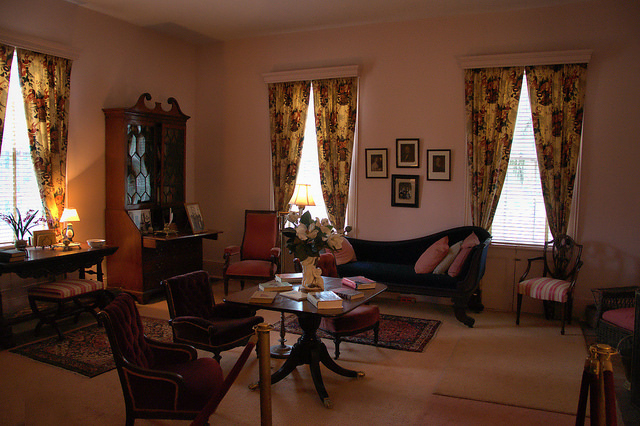 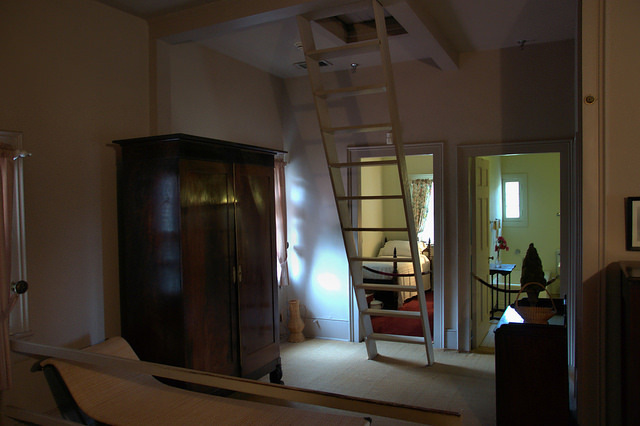 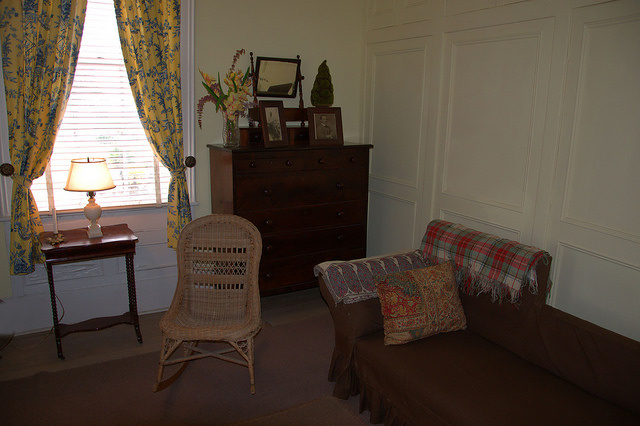 Unlike most historic homes, Hofwyl House retains the original family antiques and possessions of the Brailsford, Troup and Dent families from five generations. 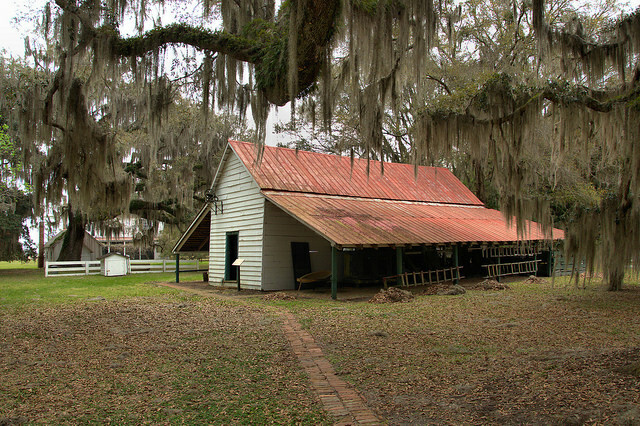 It is known today as Hofwyl-Broadfield Plantation. 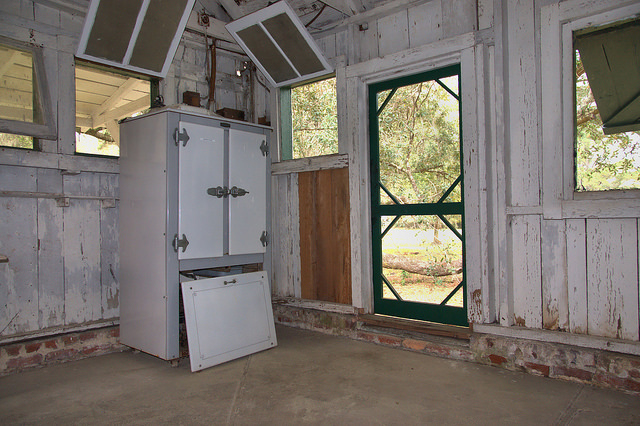 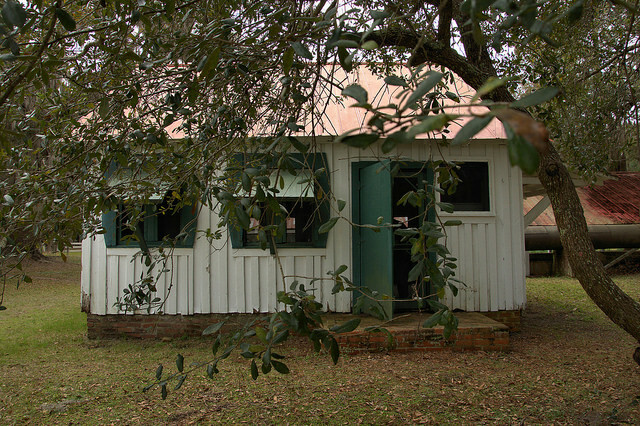 The rear of the house features a wisteria arbor along the back porch, as well as an attached kitchen. 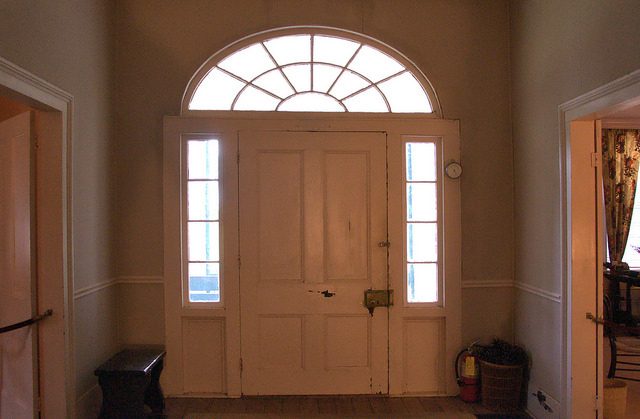 The entryway is highlighted by a Palladian fanlight over the main door. 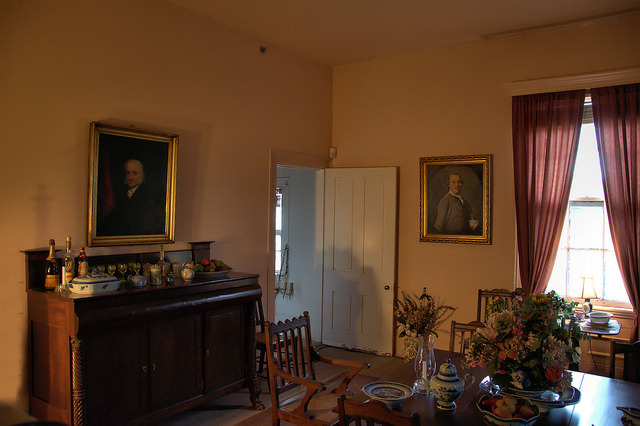 A dining room is located to the right and a parlor to the left. 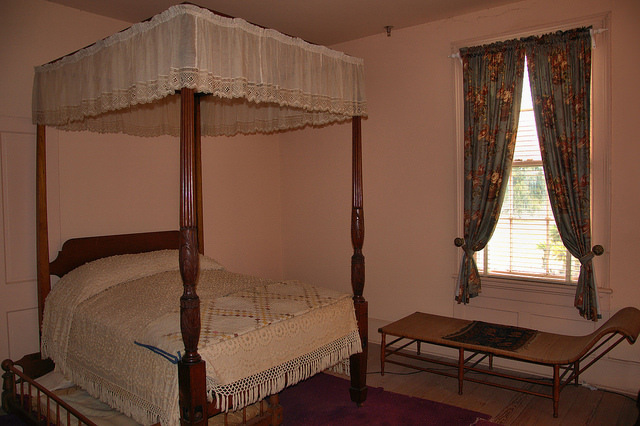 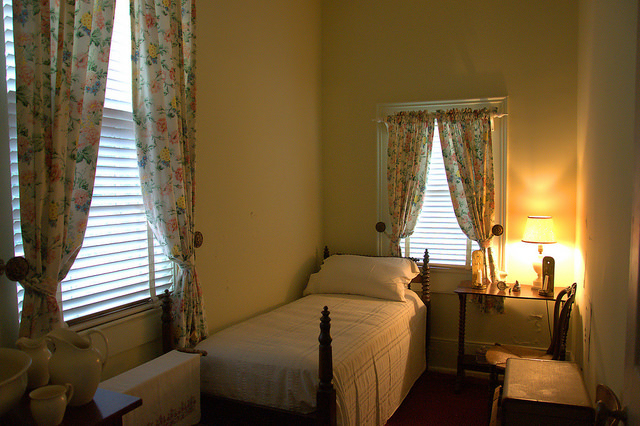 Bedrooms are located upstairs, arranged around a large open hallway. 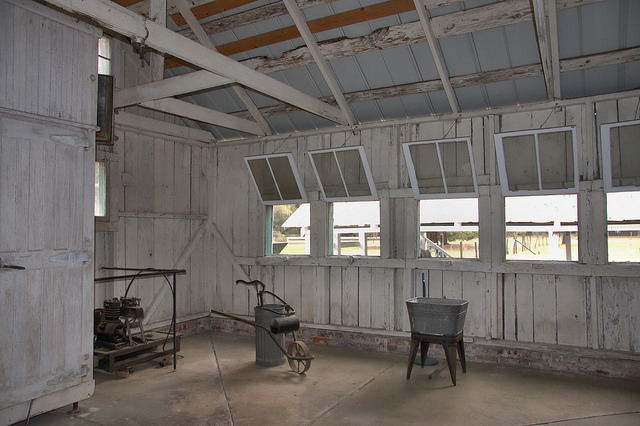 The open-air dairy barn is where a herd of around 35 Jersey and Guernsey cows were milked daily. 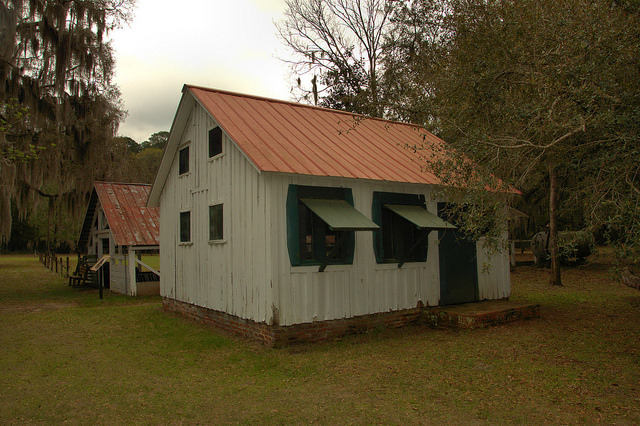 Just next door is the bottling house, where milk was produced for customers in Glynn and McIntosh counties. 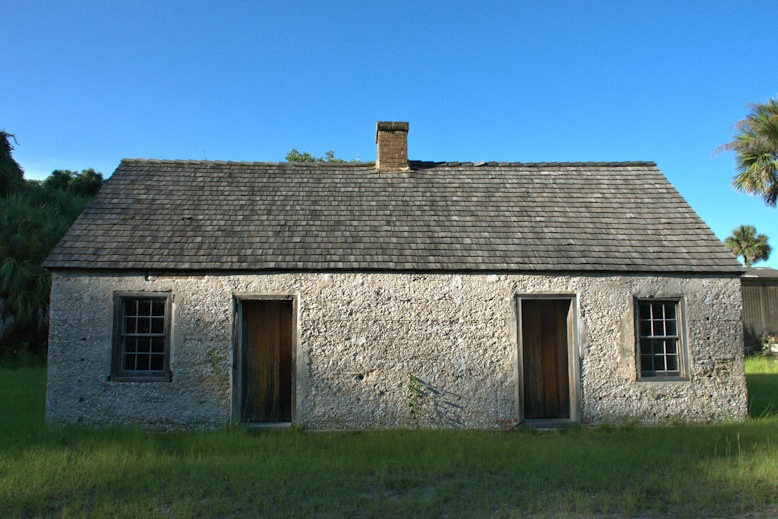 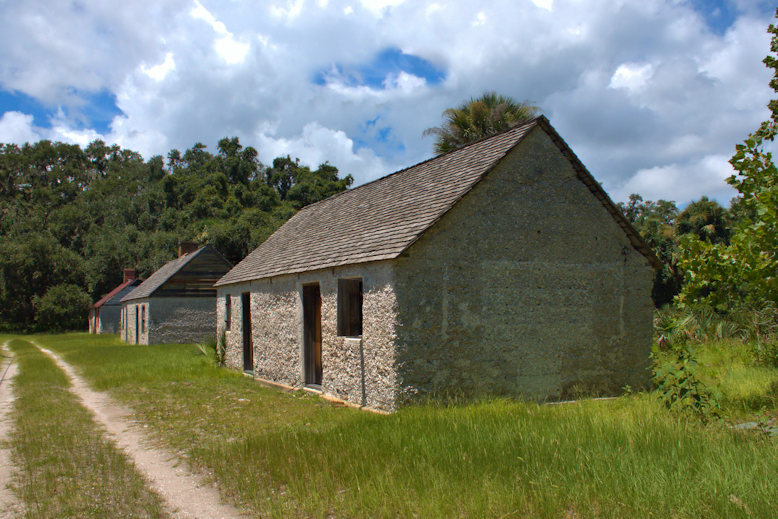 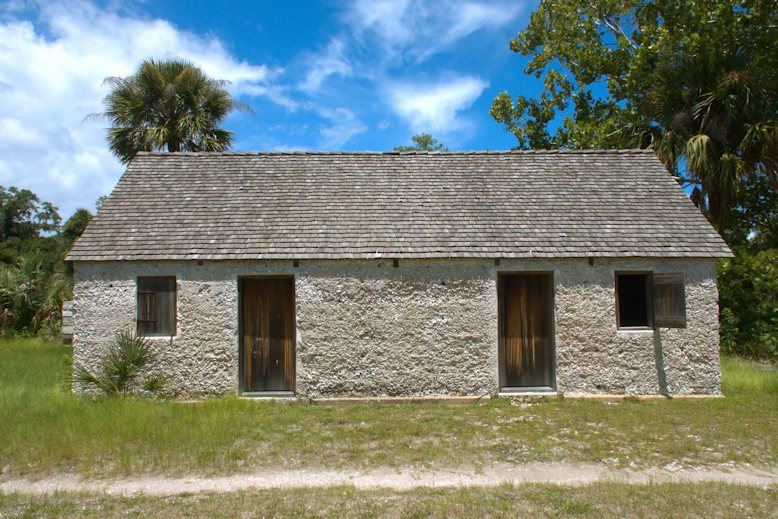 Central to any plantation operation was the commissary, where laborers were given credit for necessities and staples, though much of their income went to repaying debts incurred here. 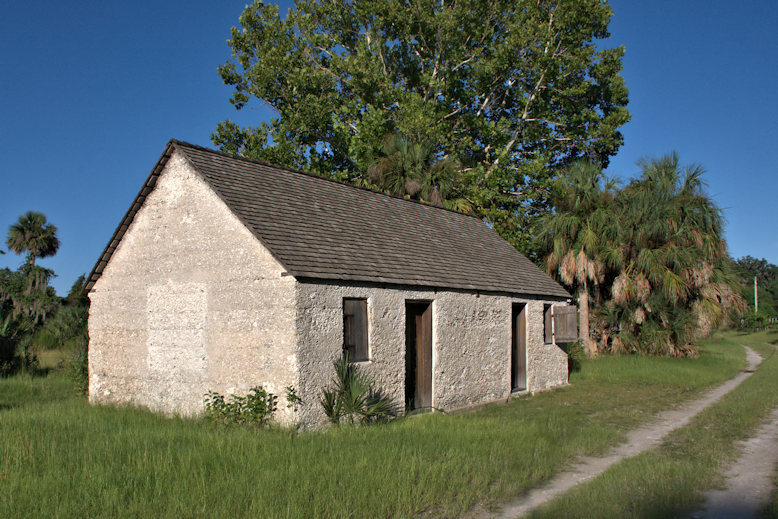 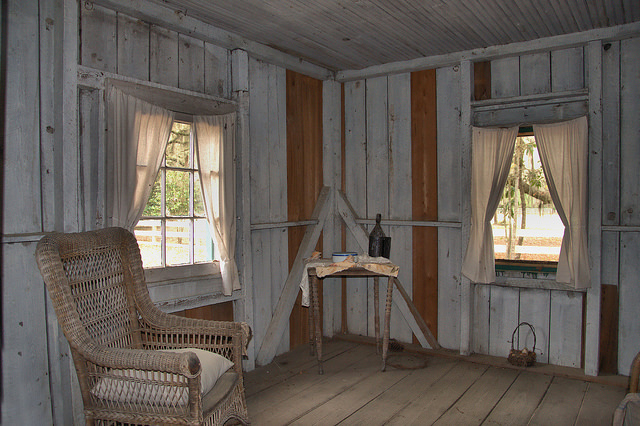 Servants were housed in a basic “cabin” like the one seen below. 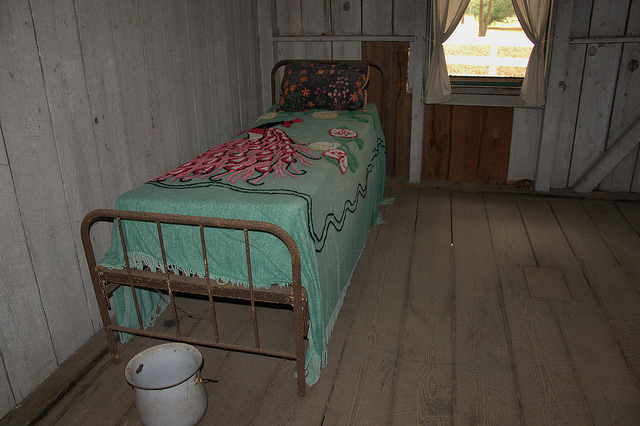 Furnishings were spartan and utilitarian. 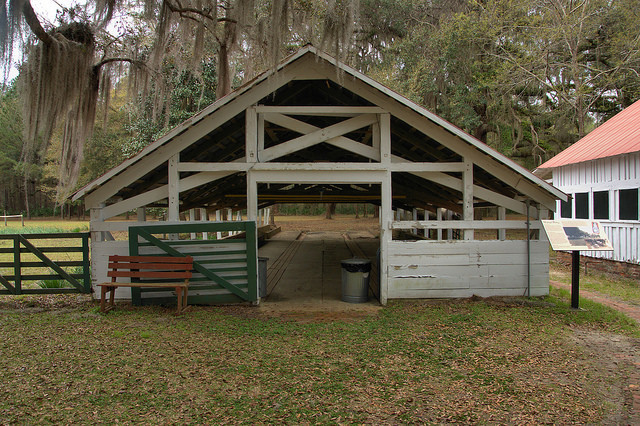 The pay shed served an obvious and important purpose. 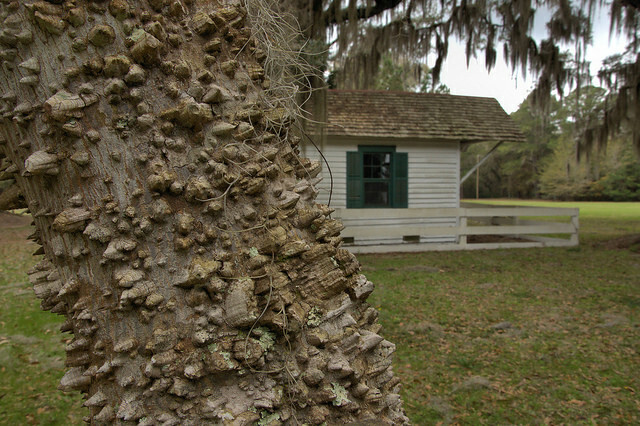 The marshes of the Altamaha River delta at Broadfield Plantation are very similar in appearance today to what they were in the early 19th-century. 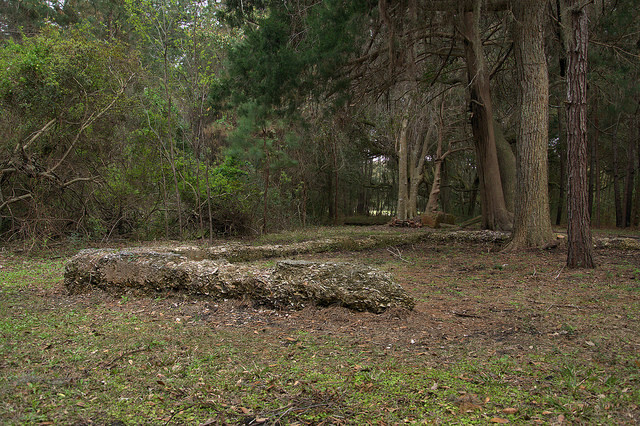 These tabby ruins are all that remain of a once thriving rice mill. 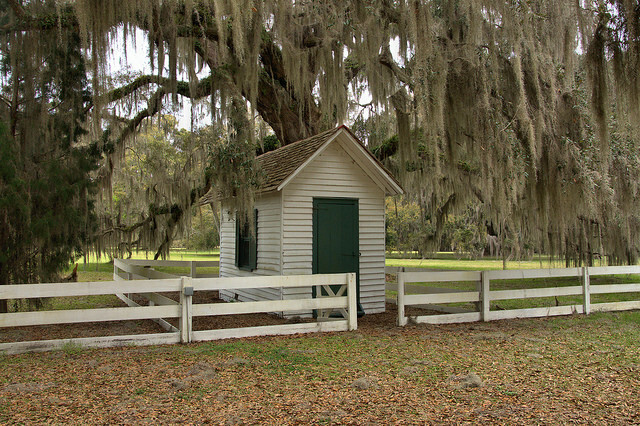 While Hofwyl House and its related outbuildings are a significant resource, the real attraction for many is the large number of Live Oaks (Quercus virginiana) located all over the property. 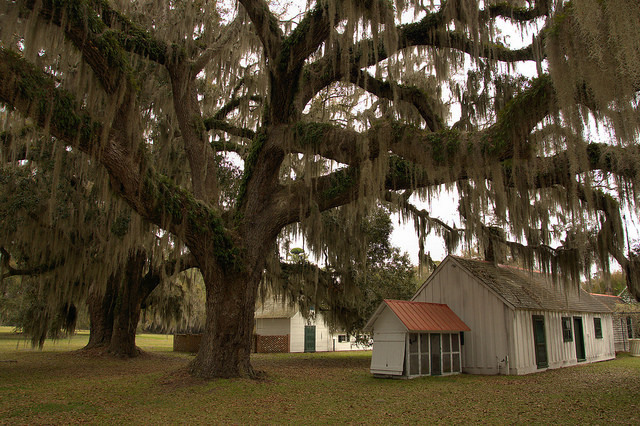 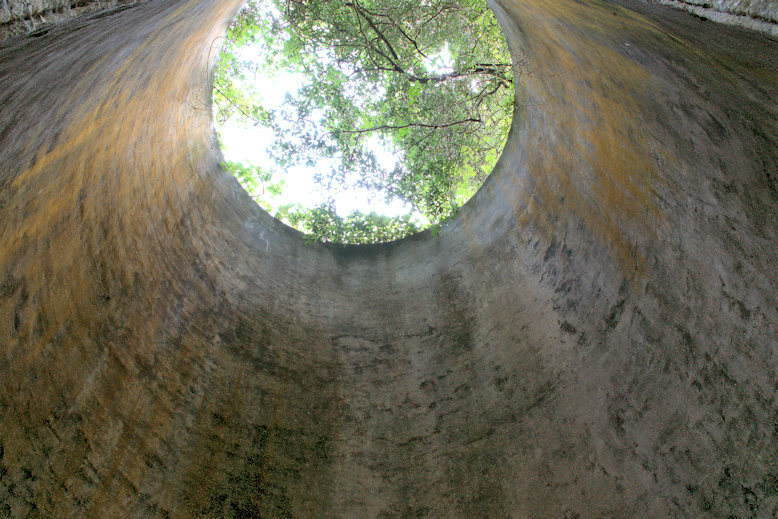 Some are estimated to be between 500-800 years old and two are members of the Louisiana Live Oak Hall of Fame. 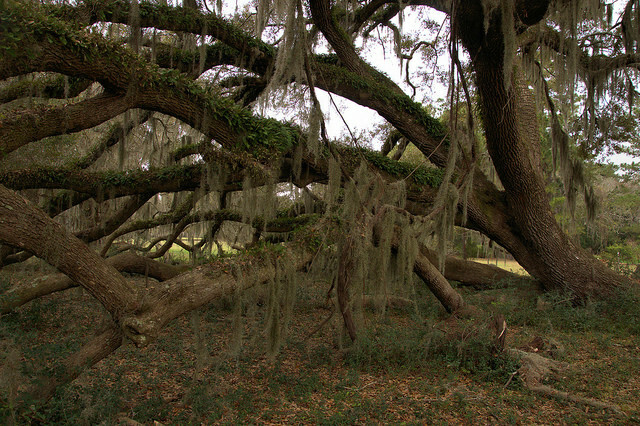 As is common with many Live Oaks on the coast, several appear to have been uprooted but continue to live and prosper nonetheless. 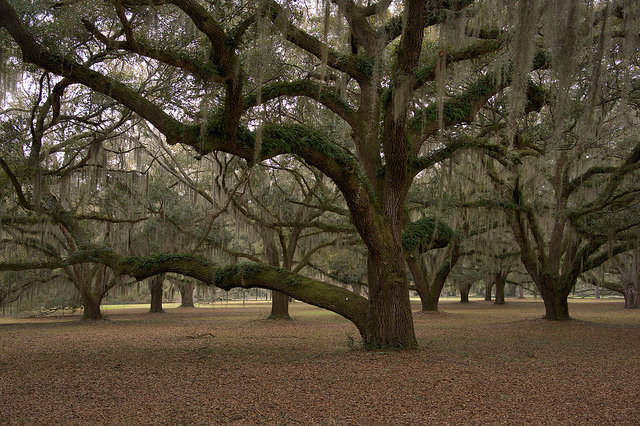 The grove of oaks leading into the property is a landmark in its own right. 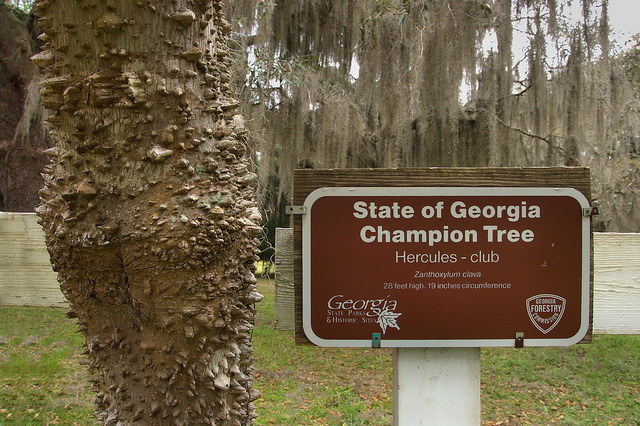 Two state champion trees of other varieties are to be found on the grounds, as well, including this Toothache Tree (Zanthoxylum clava) or Hercules-club, located beside the pay shed. 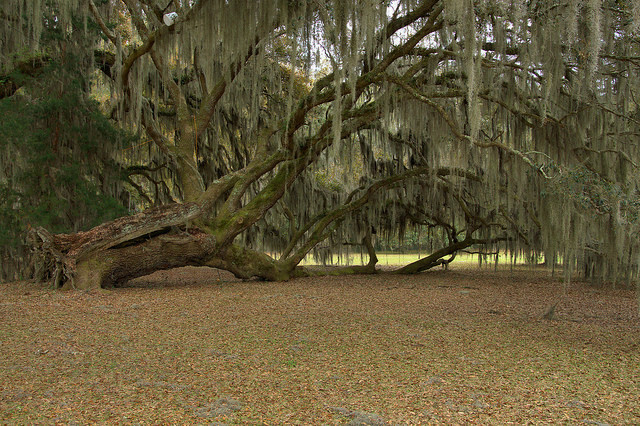 The largest Sweetbay Magnolia known in the state is located near the rice fields but I was unable to get a good photograph of it.